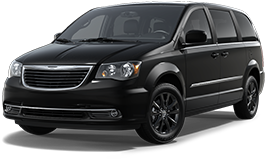 Our Chrysler Dodge Jeep RAM car dealership is full of all of the best models. The accommodating folks at Lustine Chrysler Dodge Jeep Ram are proud to serve the community of Manassas and would like to have the chance to earn your business. Manassas is in the Commonwealth of Virginia and an independent city in the Commonwealth. It used to be known as "Manassas Junction." It is bordered by Manassas Park and Prince William County. Manassas is in the Washington-Arlington-Alexandria, DC-VA-MD-WV Metropolitan Statistical Area. Manassas has several historic sites from the mid- to late 1800's. Micron Technology is one of the biggest employers in the city. There are two major roads--VA-234 Business and VA-28--in and out of Manassas. Manassas Regional Airport is in the city. Manassas City Public Schools serve Manassas. Major League Baseball player Jon Knott and Irish folk singer Danny Doyle have ties to Manassas. For car shoppers in the Manassas area, we can assist you in finding the right new or used vehicle to meet your needs right from our website. For daily errands or long road trips, Lustine Chrysler Dodge Jeep Ram is sure to have something in stock to meet your goals. Searching for a used vehicle in Virginia? With our selection you won't need to shop anywhere else. Our pre-owned inventory has a huge selection of cars, trucks, and SUVs by many of today's top automakers. People should be able to afford a vehicle that supports them, and Lustine Chrysler Dodge Jeep Ram is here to help. Our qualified experts can help anyone achieve an auto lease or car loan in Virginia, even those with not so perfect credit! Everyone has financial concerns, and our people are here to help you get a loan that fits your situation. For folks looking to keep their Chrysler Dodge Jeep RAM vehicle running in great condition and live near Manassas Virginia then please consider bringing it by Lustine Chrysler Dodge Jeep Ram's repair center. If you're having trouble finding certain parts or accessories, our experienced staff can aid you. If you're interested in what our service can offer you then please make an appointment for your vehicle.